I love it when you talk to someone who doesn't have kids, there view on kids is rather jolly and rose tinted glasses rubbish. They have no understanding of the pressure kids put on you. I sometimes in coffee shops look at couples of friends lounging away wasting hours in coffee shops and am wondering what it would be like, whilst I pull out every single snack to contain all the kids so I have enough time to drink a hot drink. So here is a list on reasons to love mums ( a little bit more). Depending on what age your child is as soon as they are born, poor mums loose the ability to sleep for about 18 years plus. To start of there is the getting up every few hours to feed a little baby, you then as the child gets bigger get woken up with requests like I need a wee or my toe hurts. You may if your lucky have some good sleep except waking up the odd night to forgotten homework or washed PE kit for the morning. Then you may have a teenager I am not there but I can only imagine (from my own youth) of waiting up till the yoof get in, oh I can not wait!!!! So if you see a mum with large bags give her a break. Dont give her matchsticks just give caffine! moaning what were eating and help with that dust pan and brush, thank you dear. Have you ever heard the phrase "oh I spent the whole day doing washing you would be amazed how much washing 1 person has". (Well I have not either I made it up but you get my point hopefully). I can tell that lady I wash and wash and wash and still am forever washing. I have a mound of clothes in the hall waiting to be put away a mountain to be washed it NEVER STOPS. So to be helpful fold it all thanks, you wont moan then. Oh your house is so tidy I am not jel at all, is not a thought I have I often think how long would it take my three to trash your home. Jokes I do not really.... I tidy all day long then just before my someone comes round it all comes out again (is my excuse). Its a game to pull the toy box out as soon as its put back isnt it. Just do not look to closely or touch anything it could be sticky. I try hard but am easily defeated, time and time again! So put up with toys and junk its all good in the hood and all that. I am a dab hand with a syringe I have you know, can draw up a accurate dose of calpol in no time at all. I can steri strip and stick plaster over most cuts, cold flannel to the head. I now with three kids feel like I am good with the skills I have learnt. 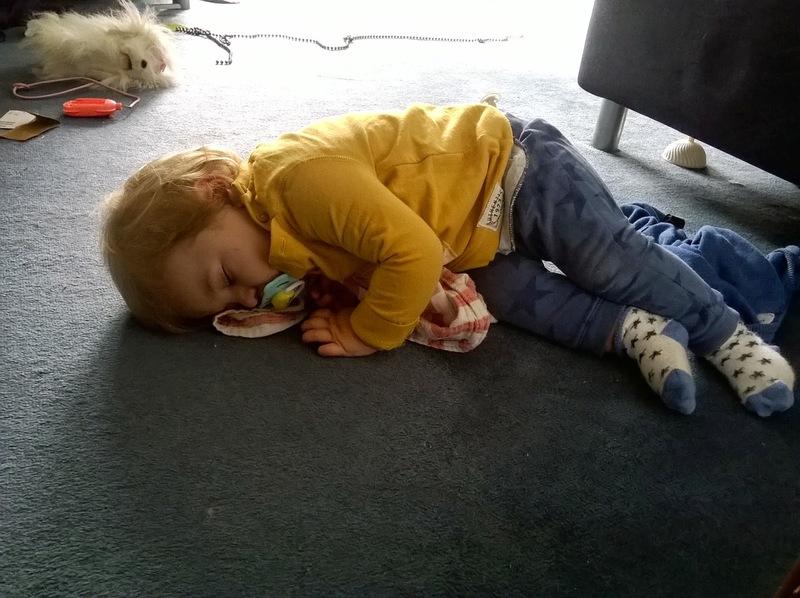 Keeping kids cool with a fever and tricks to help stop itching I am full of advice to un wanting mothers who do not like to hear it. 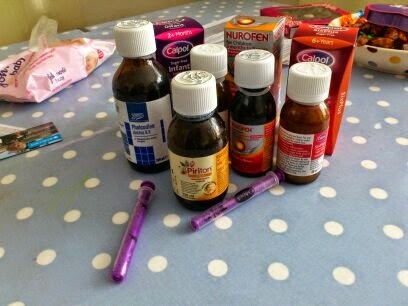 I am a mini pharmacist look in my medicine cupboard I can dose you up (for coughs nothing illegal OK). I do have the advantage of being a nurse meaning my children will never get a day off school! So do not mug me off I may be able to help you one day with my skillz. DO NOT GET IN THE WAY OF A MUM IN A NEXT SALE, it will end badly. You see we want the best for our children and wearing good quality clothes and feel like you are saving money sends mothers like me feral. Going to a next sale in the morning to get some jeans and coming out with some clothes you wrestled of someone is a task in its self. I myself have been to the next sale but sadly never had to fight someone I am far too scared, I wait for the next sale assistant to bring clothes out and pounce on those! Days at home with a small child can be fun, but some days you long for a more intellectual conversation. Talks about why Daddy is at work or why does the postman put letters through the letterbox are riveting but they sure can be funny. By tea time of being at home weird things get funny like a toddler having a tantrum or a random smile, kids have the ability to make you happy no matter what they do. EXCEPT drawing on the walls that never makes mummy laugh, never. See us mums do have secret powers, we know when kids are up to no good and when to grab a quick nap on the sofa. The last one maybe not so much so. Our kids not always best behaved at times do get caught out and our special alarm system (aka the child is too quiet) goes off and they get caught. We being the equivalent of the caped crusaders feel like we saved the world for another day. We love our children no matter what, and one thing no mother like is criticism of her child. To the mum her child is the best in the class, cutest and cleaverist. We wont have it any other way. When they are not its ok because we love them lots and think they are anyway. The love that would make us do anything to help our children. The love that causes our children to be embarrassed at the school gates as apparently they are too old for a kiss good bye! So do not mention anything bad if you do not want a black eye (just a warning). 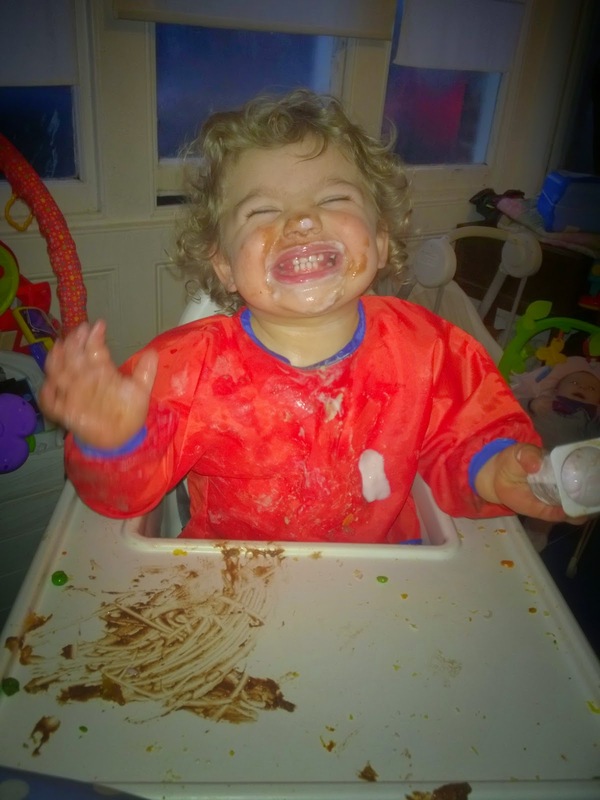 So here are some reasons to love Mums, they are awesome (I am a Mum I am biased). ha me neither I am far too laid back to be a mum! One day I am hoping I may be responsible! LOL this is all so true! I don't think you appreciate the hard work your Mum put in until you are a Mum yourself. Being a SAHM is the hardest job I've ever had but I wouldn't change it for the world! lol lol Sara i love this! and was in fact nodding my head through the whole post! .. us Mums rock! This is fabulous!!! I too was nodding to most of this post!! Us Mums are a force to be reckoned with!! 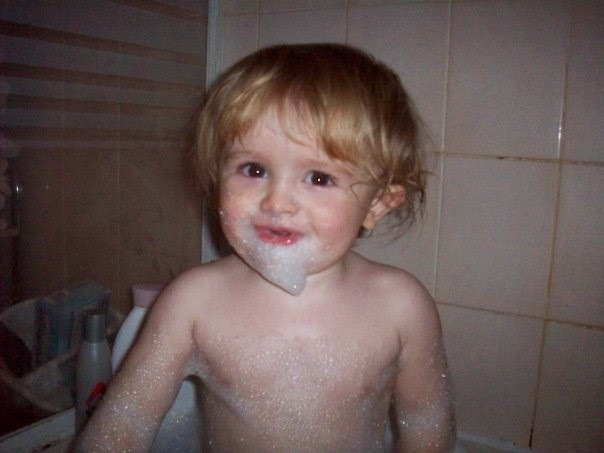 Bubble beard photos are classic. I'm sure every family must have one or more of these photos in their family photo collection! I do love chatting to my friends who don't have children, their view on the world is so different that I can't wait for when they have children and their worlds are turned upside down. This is so funny and so true. I love getting on top of the washing and then a day later I seem to have another huge pile. Endless!! Ha love this and that pile of clothes is so true with kids its never ending. Oh such a lovely post! Incredible that we do all these things! All mums rock and since I became a mum I respected my own mum so much more! Great post and for me I would just love to spend one saturday afternoon in the pub like the old days!